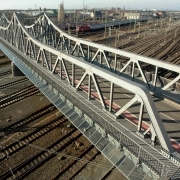 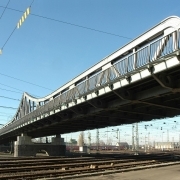 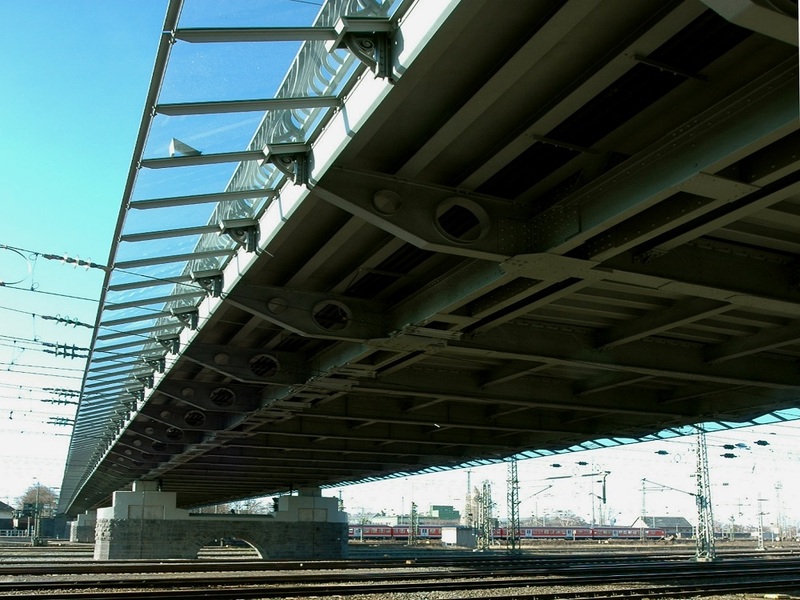 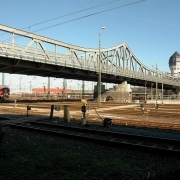 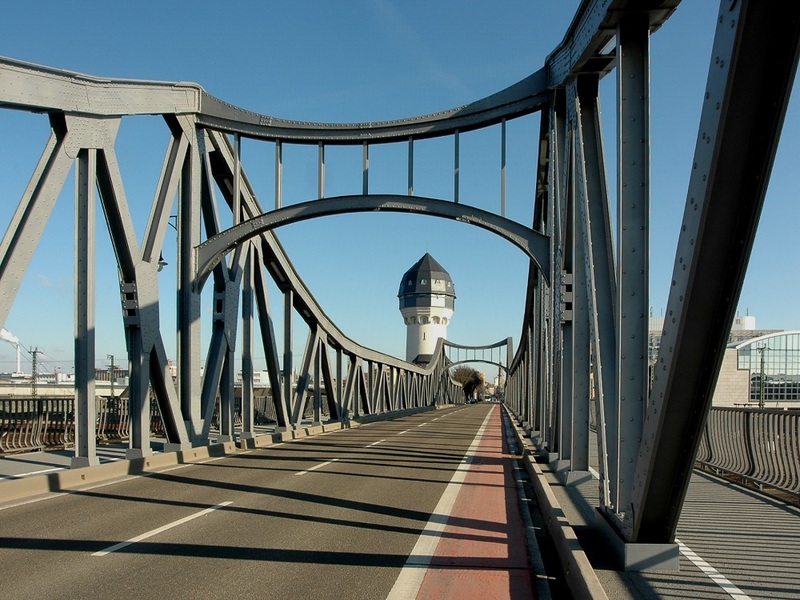 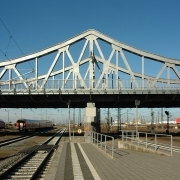 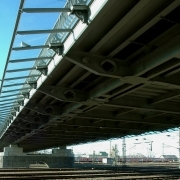 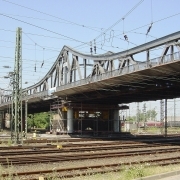 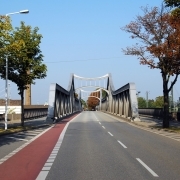 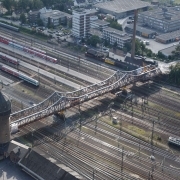 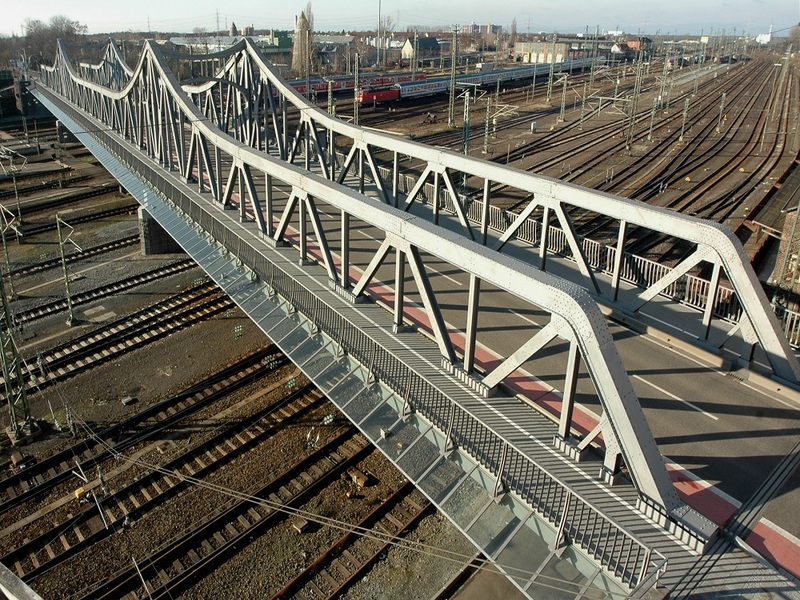 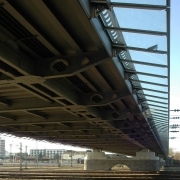 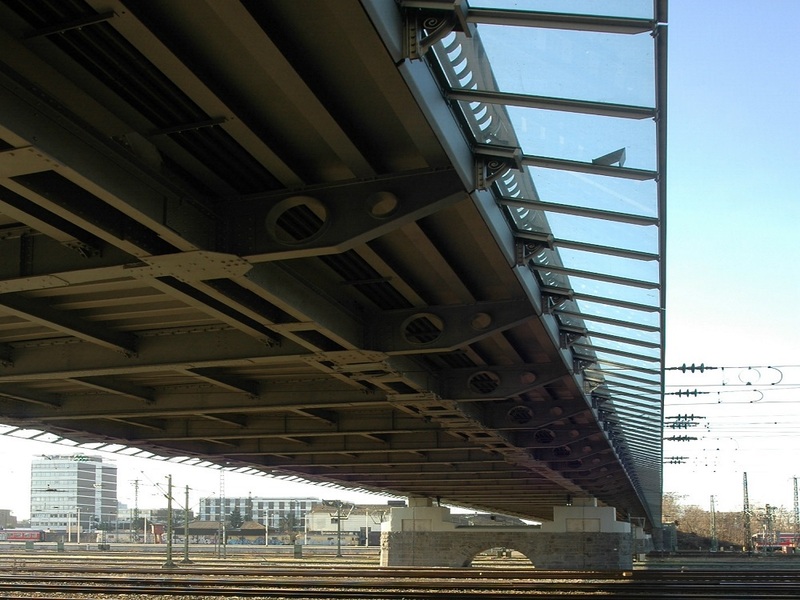 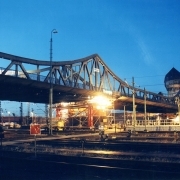 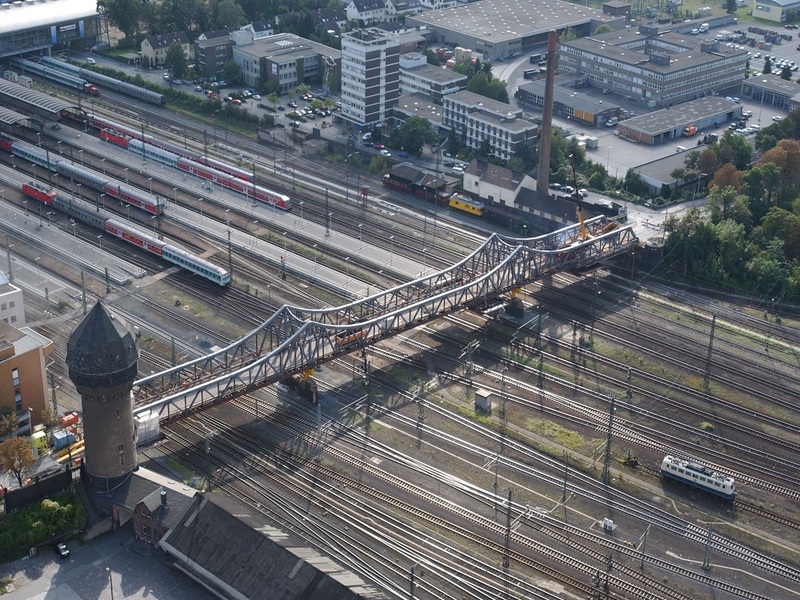 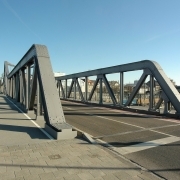 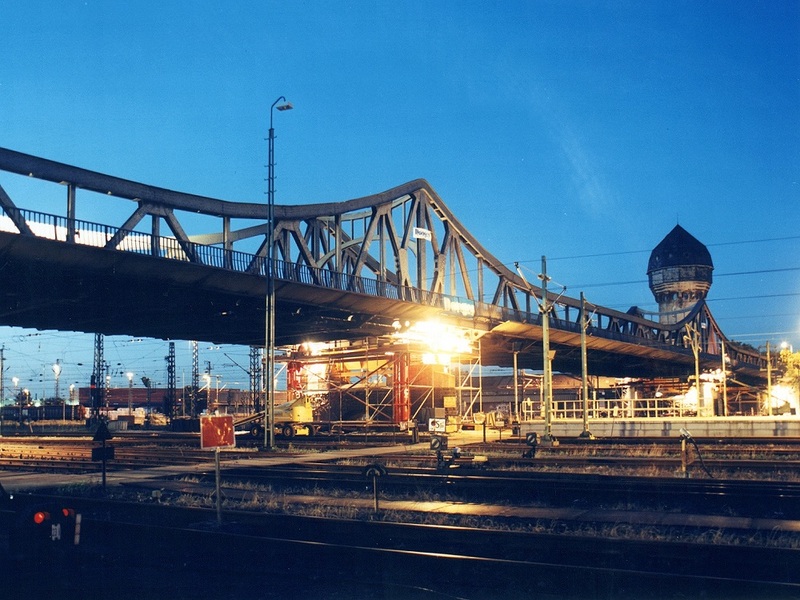 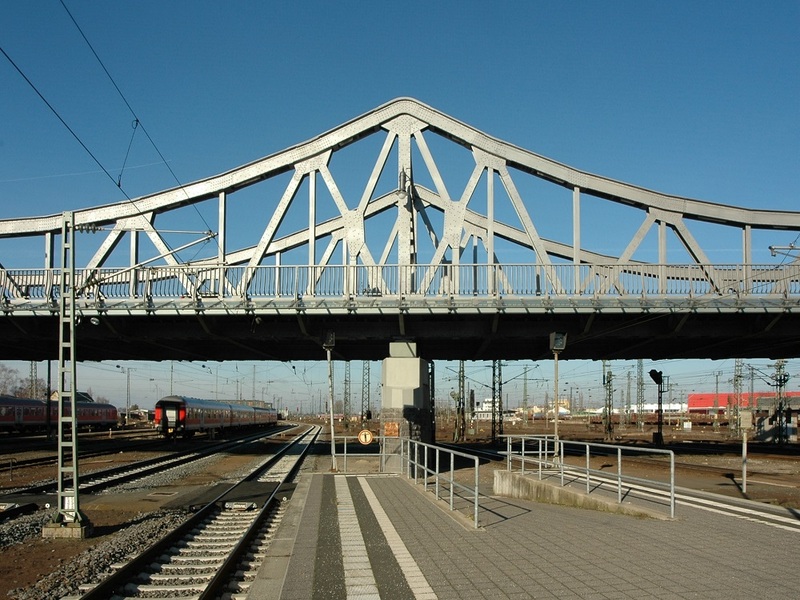 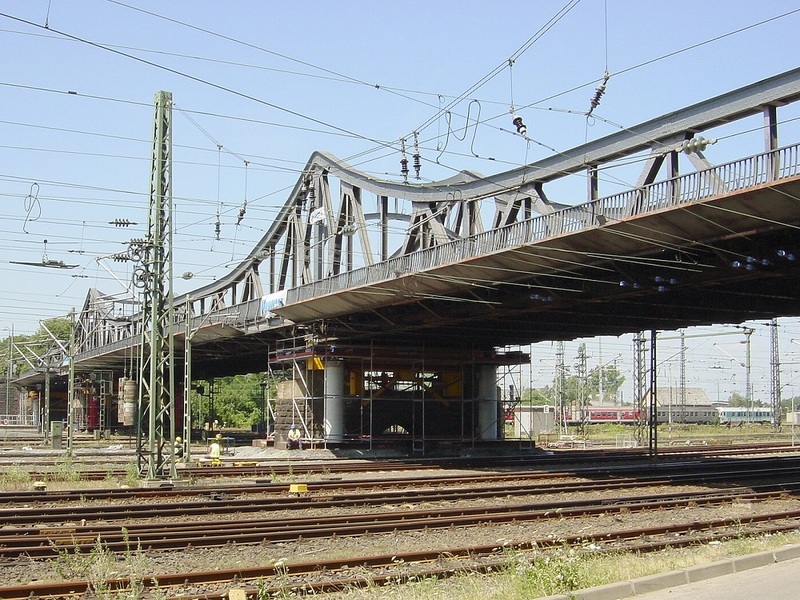 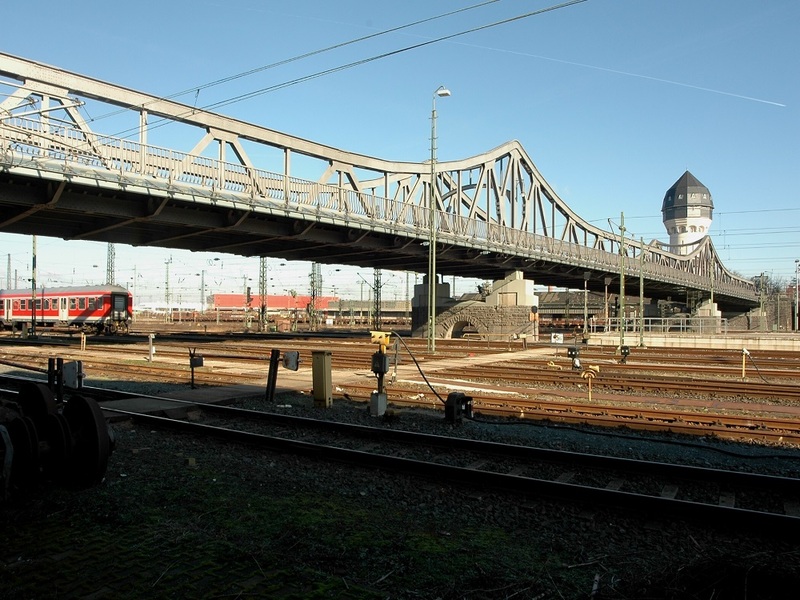 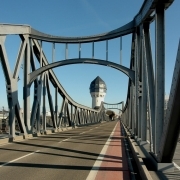 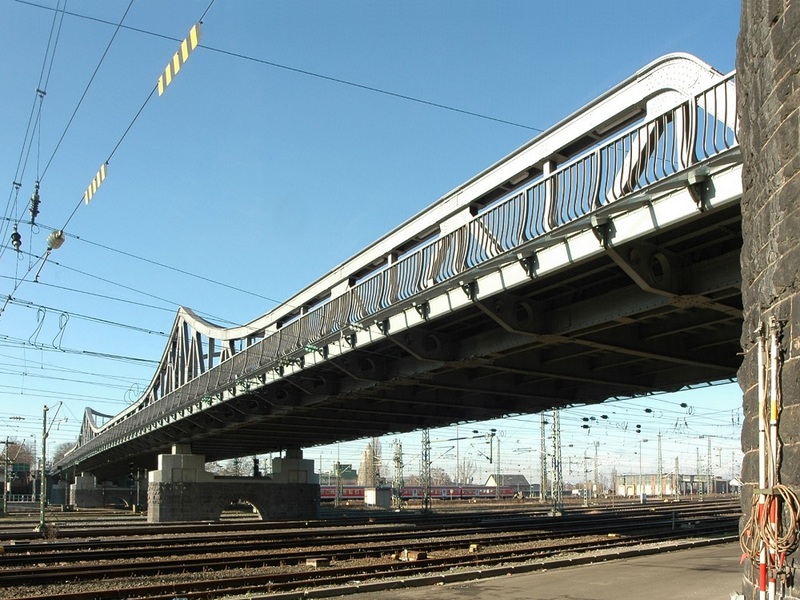 For almost 100 years, the “Dornheimer Wegbrücke” north of Darmstadt’s Central Station has spanned above the railway tracks. 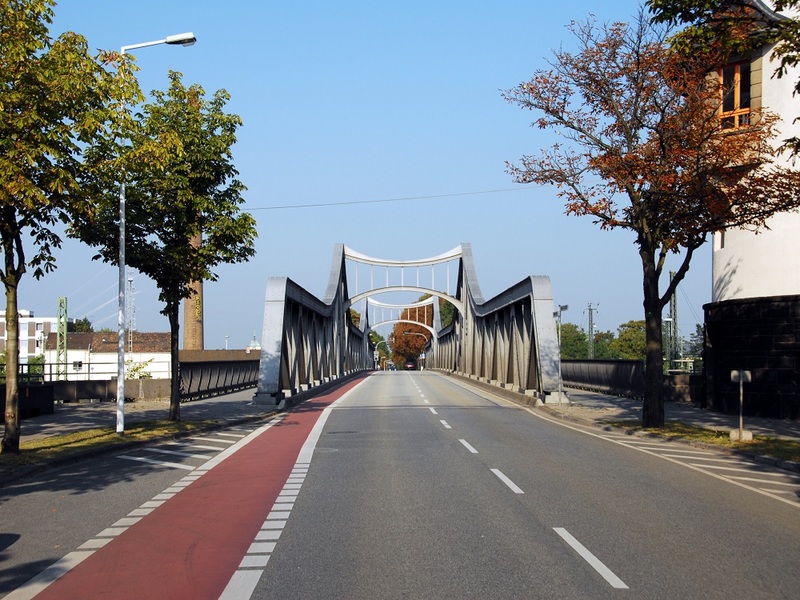 Constantly increasing traffic volumes and detrimental environmental influences all took their toll, which led to the need for a renewal of the external pedestrian and bike paths, as well as a basic overhaul. 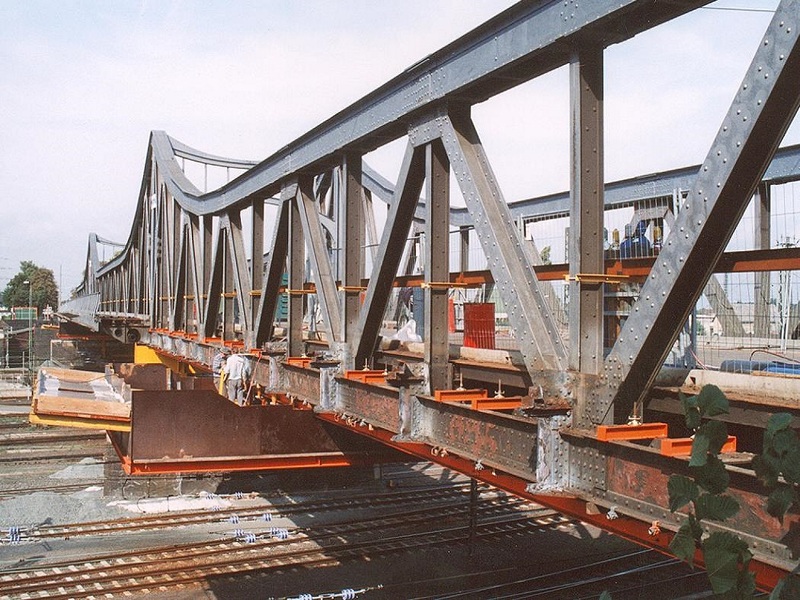 Hydraulic pumps hoisted the approx. 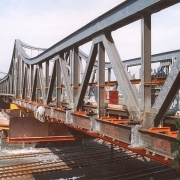 1,500-ton three-span truss bridge 1.60 meters above road level and placed it on auxiliary supports for the duration of the renovation work and later back onto the bridge bearings. 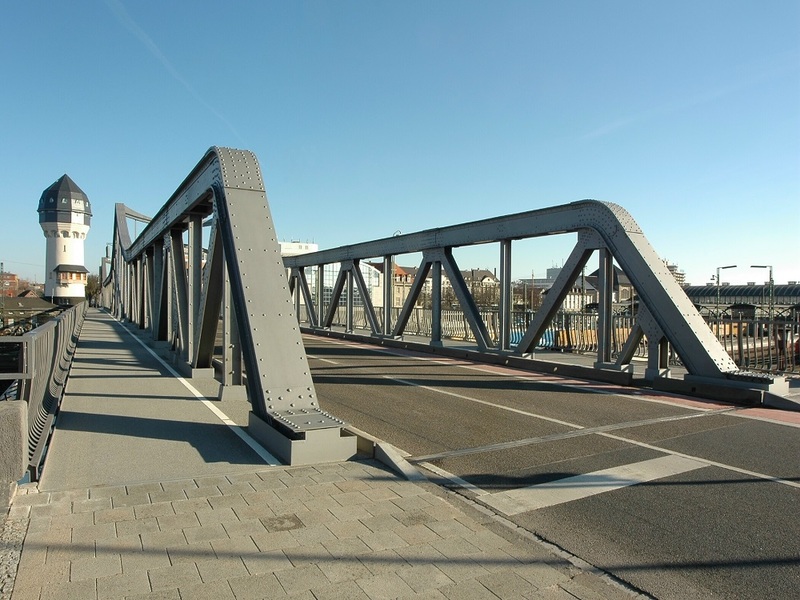 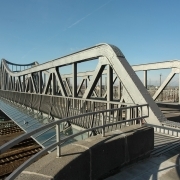 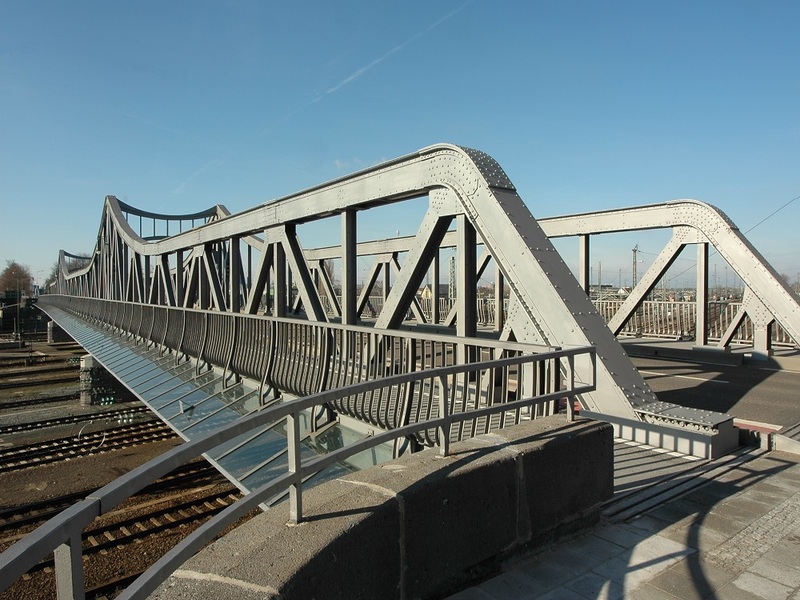 Donges renewed and renovated the entire damaged steel structure.